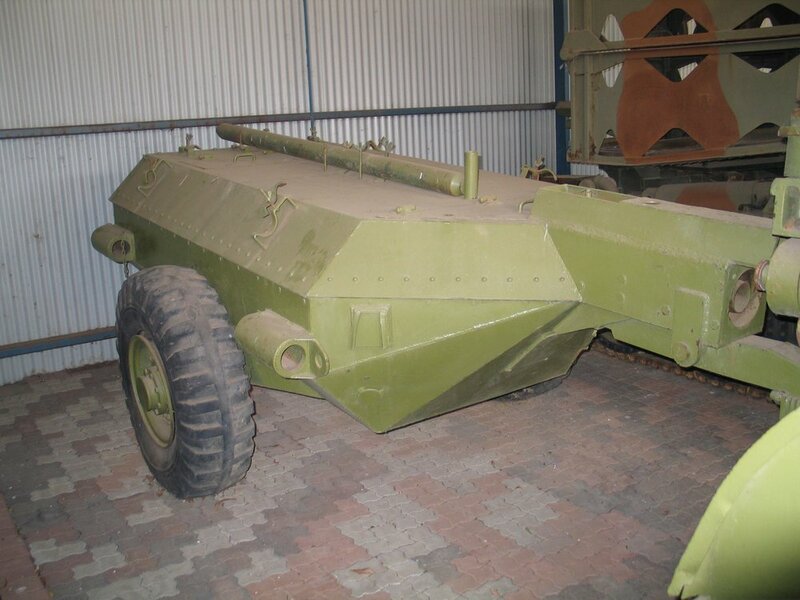 A Churchill Crocodile sends some love down-range. 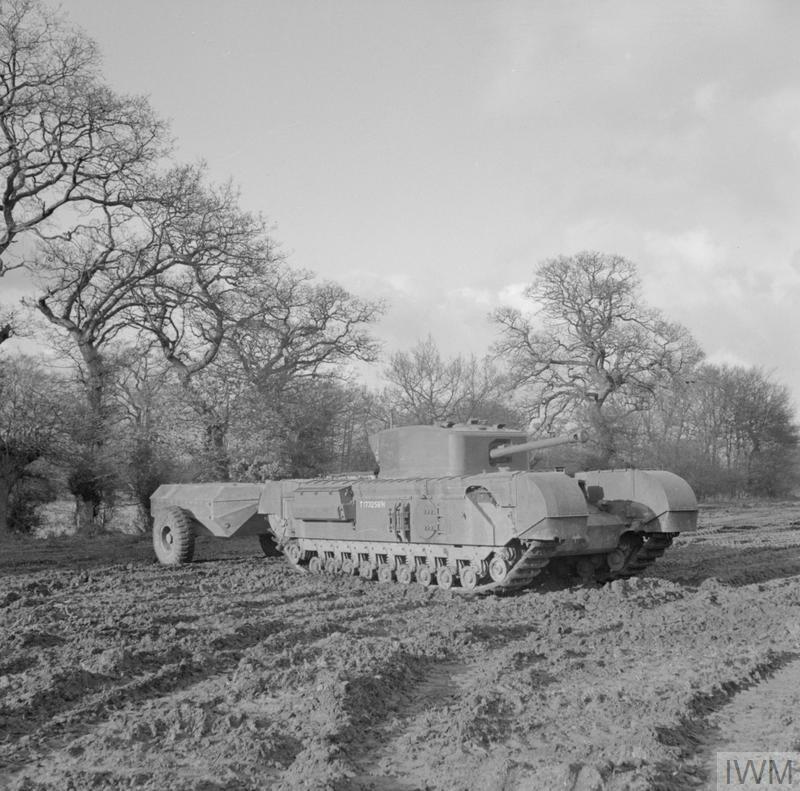 Churchill Crocodile flame-thrower tank, 79th Armoured Division, 13 Feb 1944. IWM photo H 35809. 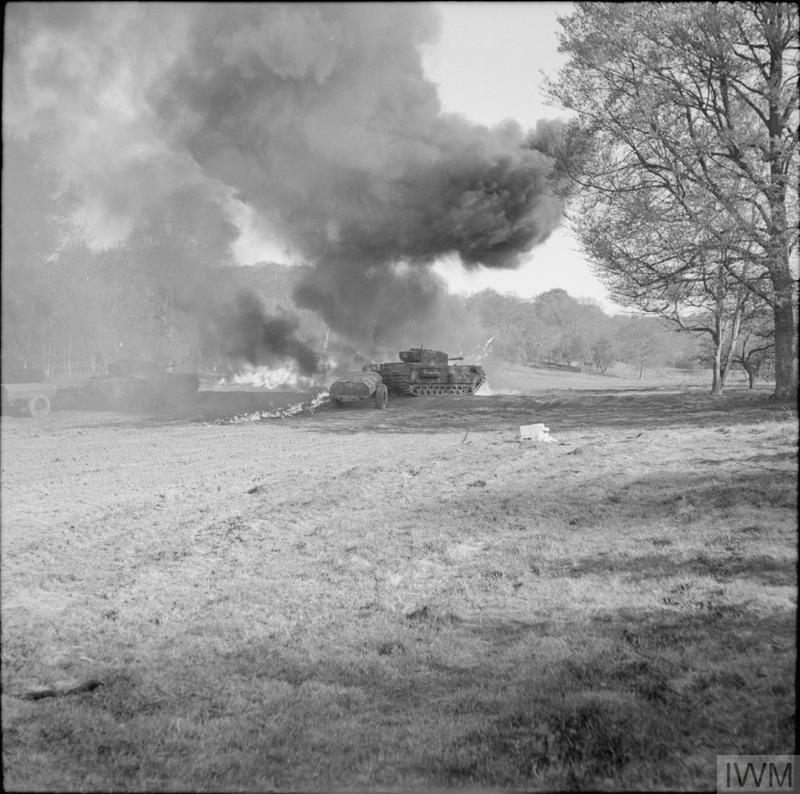 Churchill Crocodile flame-thrower on trials, Eastwell Park, Ashford, Kent, 26 Apr 1944. IWM photo H 37911. Churchill Crocodile flame-thrower in action during trials at Eastwell Park, Ashford, Kent, 26 April 1944. IWM photo H 37917. 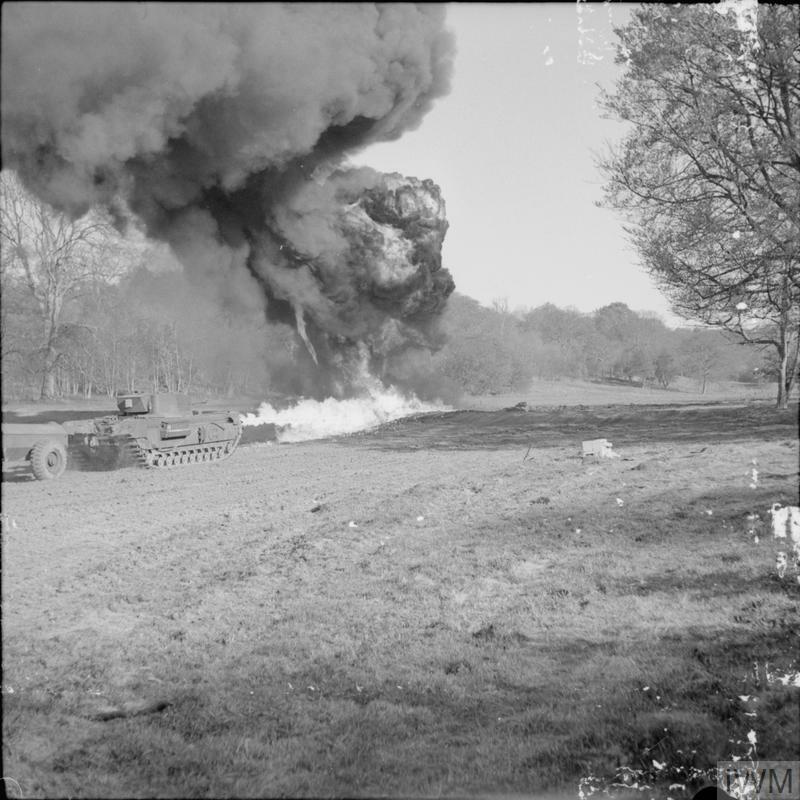 Churchill Crocodile flame-throwers in action during trials at Eastwell Park, Ashford, Kent, 26 Apr 1944. IWM photo H 37918. 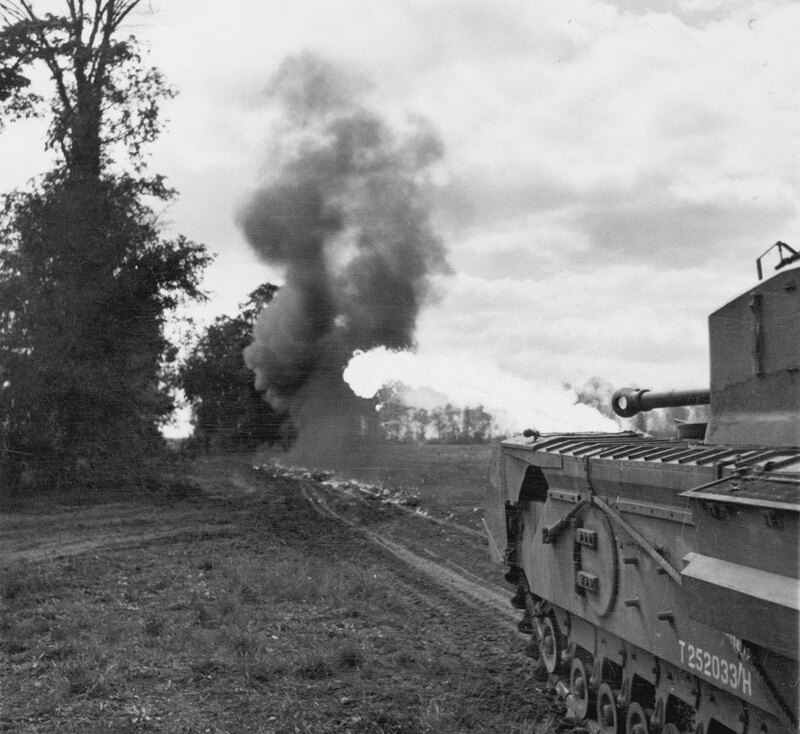 Churchill Crocodile flame-thrower in action during trials at Eastwell Park, Ashford, Kent, 26 Apr 1944. IWM photo H 37930. Flame projector on a Crocodile tank, photographed during trials in Apr 1944. IMW photo H 37937. 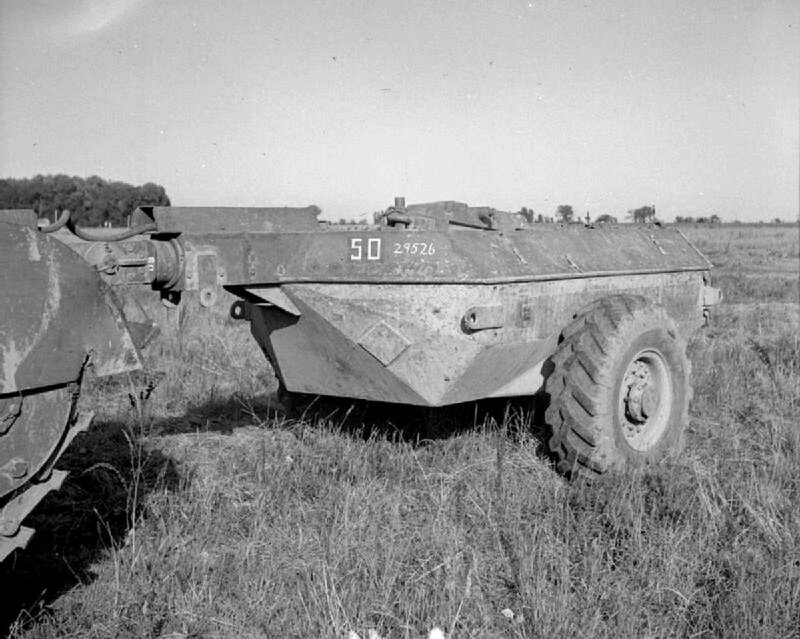 Armored fuel trailer for the Churchill Crocodile. 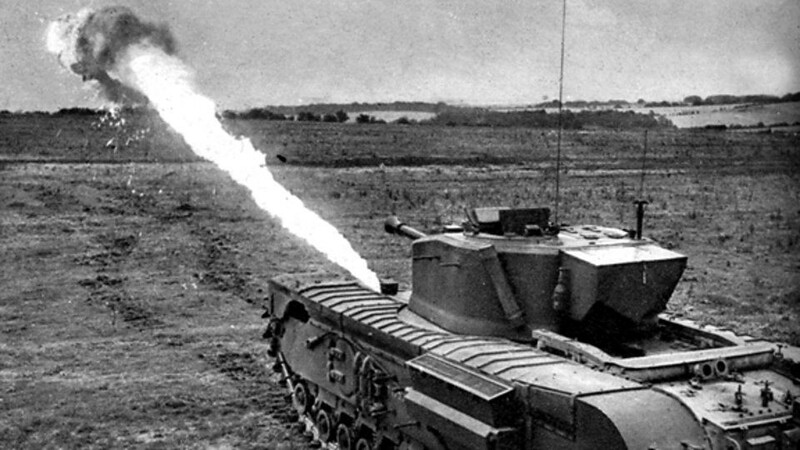 Churchill Crocodile flame thrower tank training some where in England for D Day, early 1944. 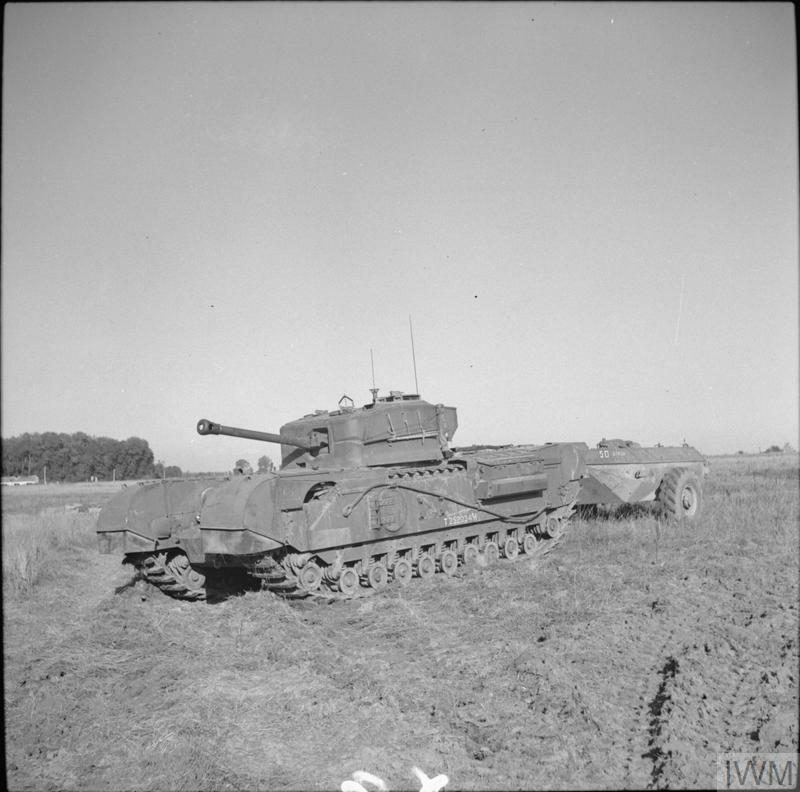 Churchill Crocodile flame-throwing tank during a demonstration, 25 Aug 1944. IWM photo B 9674. 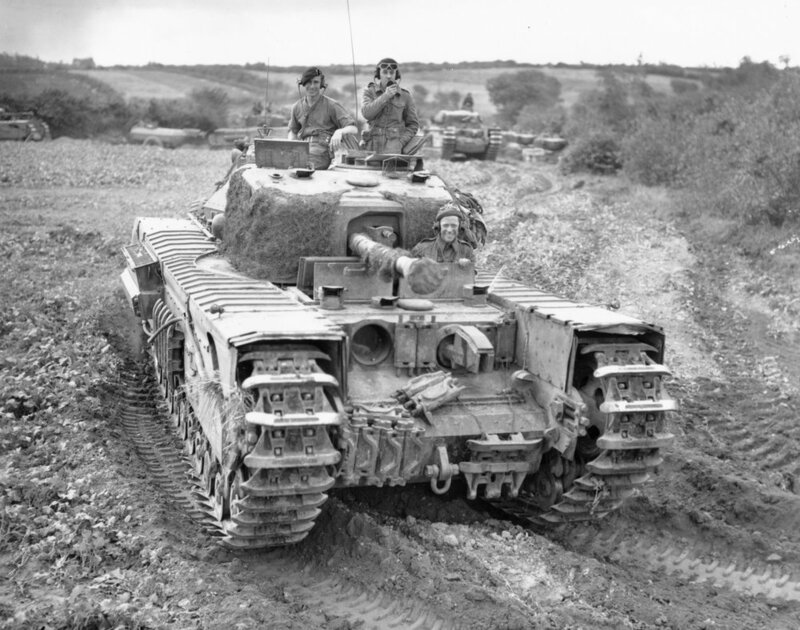 Churchill Crocodile, 25 Aug 1944. IWM photo B 9682. Churchill Crocodile flame-throwing tank during a demonstration, 25 Aug 1944. IWM photo B 9683. 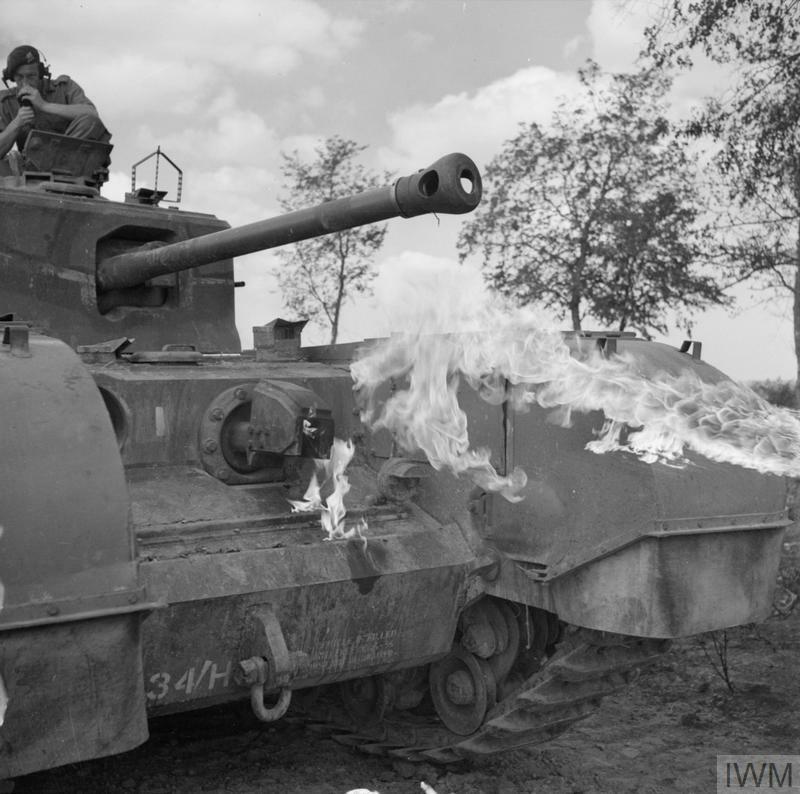 A Churchill Crocodile flame-throwing tank during a demonstration, 25 August 1944. Close-up of the fuel trailer. IWM photo B 9685. 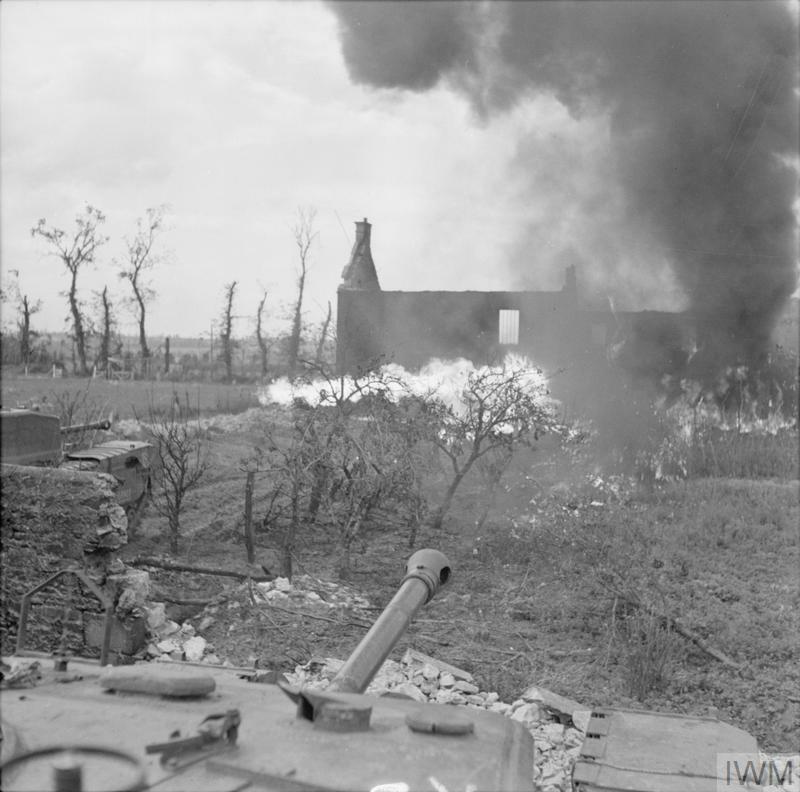 Churchill Crocodile flame-throwing tanks in action during a demonstration, 25 Aug 1944. IWM photo B 9689. Churchill Crocodile flame-thrower tank, 25 Aug 1944. National Army Museum photo 1985-10-134-1. Crocodiles of B Squadron, 141 st Royal Armored Corps, which took part in the American attack on Brest. Churchill Crocodiles were assigned to support the US infantry on the assault on Fort Montbarey, Brest, France in Sep 1944. Assault force moving on Fort Montbarey. 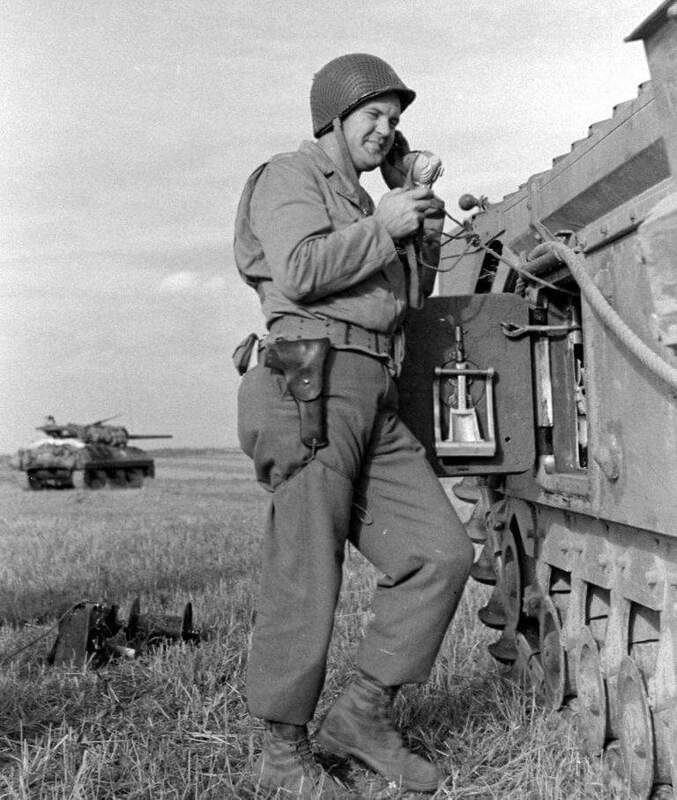 Sep 1944. Churchill Crocodile in action near Fort Montbarey. Brest, France, Sep 1944. Pic #1. Churchill Crocodile in action near Fort Montbarey. Brest, France, Sep 1944. Pic #2. 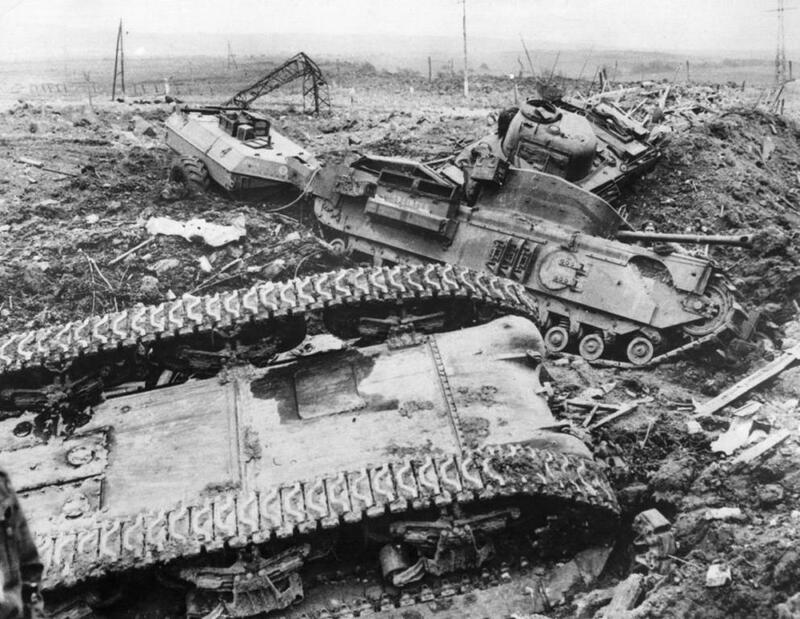 A 79th armored division Crocodile lies disabled among two knocked out 3rd Canadian Division Shermans knocked out during the Operation Wellhit, the assault on the Boulogne district, 27 September 1944. 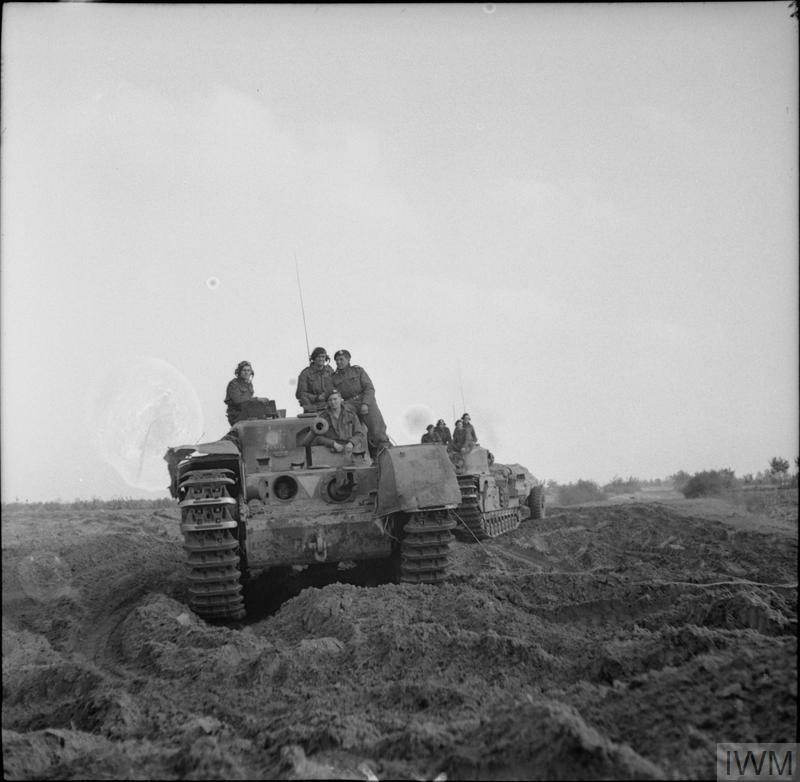 Churchill Crocodile tanks move into position during the attack towards Hertogenbosch, 23 Oct 1944. IWM photo B 11140. Churchill Mk VII Crocodiles and Mk V CS tanks of the 1st Fife and Forfar Yeomanry. Germany, Nov 1944. 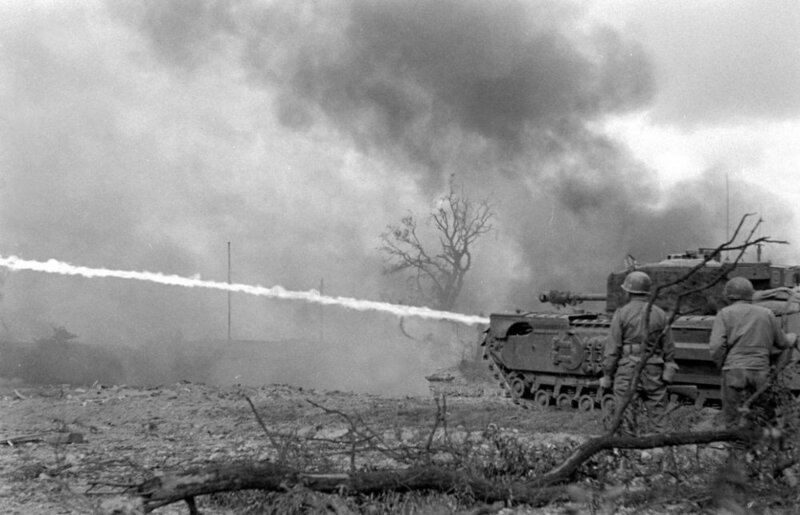 A Churchill Crocodile flamethrower in action during a demonstration near Faenza, Italy, 30 Dec 1944. IWM photo NA 21102. 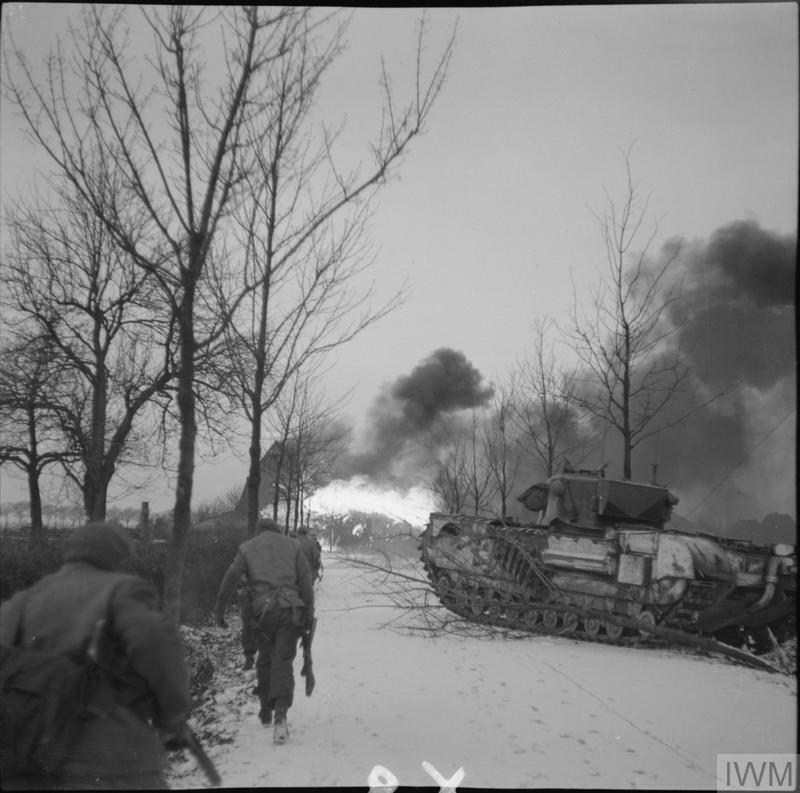 Churchill Crocodile flamethrowers in action against the village of St Joost, north of Schilberg, during an attack by 1st Rifle Brigade, 20 Jan 1945. IWM photo B 13944. 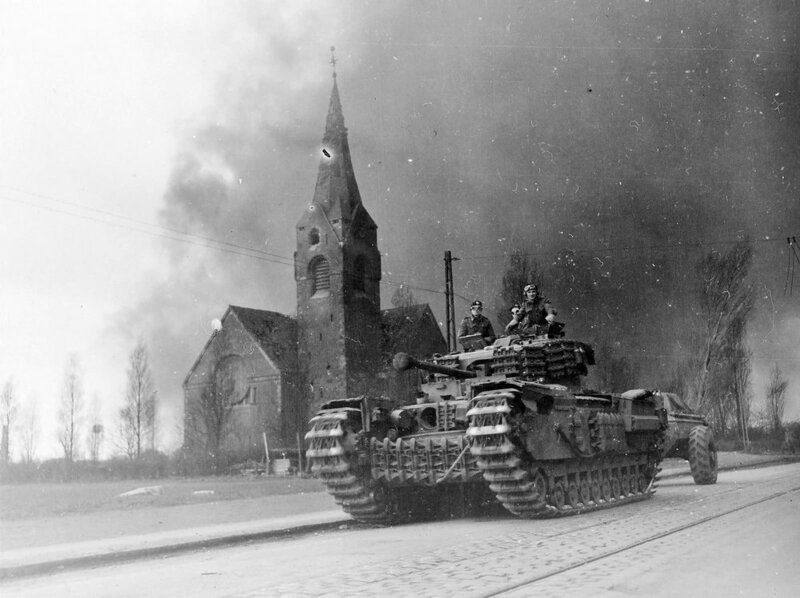 A Churchill Crocodile flamethrower tank of 31st Armoured Brigade, 79th Armoured Division, moves past a church at Oberhausen in the Ruhr, Germany, April 1945. Smoke from the burning Ruhrchemie AG synthetic oil plant (Sterkrade/Holten) fills the sky behind. IWM photo EA 60392. 8th Army Churchill Crocodile MK VII ''CALGARY'' supporting infantry of the 2nd New Zealand Division during the assault across the River Senio, Italy, 9 Apr 1945. IWM photo NA 23837. 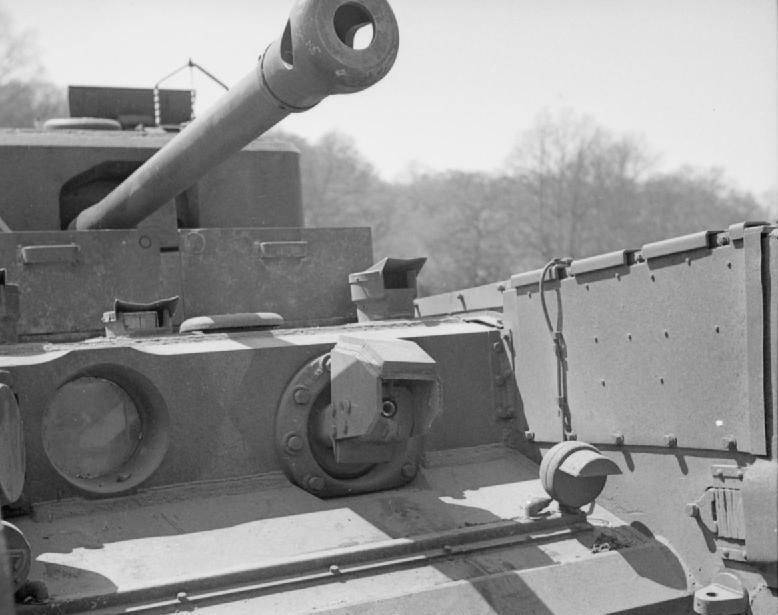 Churchill Crocodile tank and NZ soldier. Senio River, Italy, April 1945. 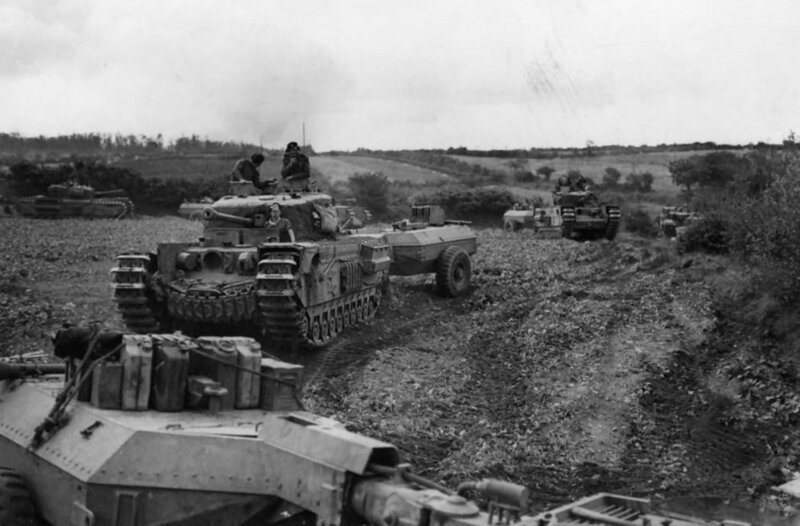 Churchill Crocodile flamethrower tanks move forward near Imola, Italy, 12 Apr 1945. IWM photo NA 24019. 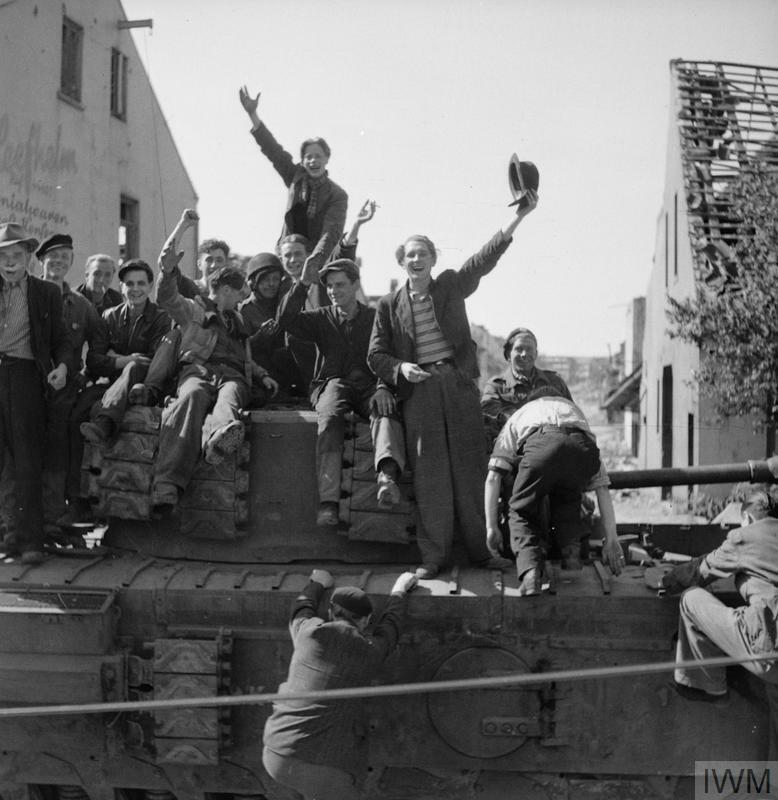 Former French and Dutch slave workers celebrate their liberation aboard a Churchill Crocodile tank of 7th Royal Tank Regiment in Bremen, 25 Apr 1945. IWM photo BU 4299.